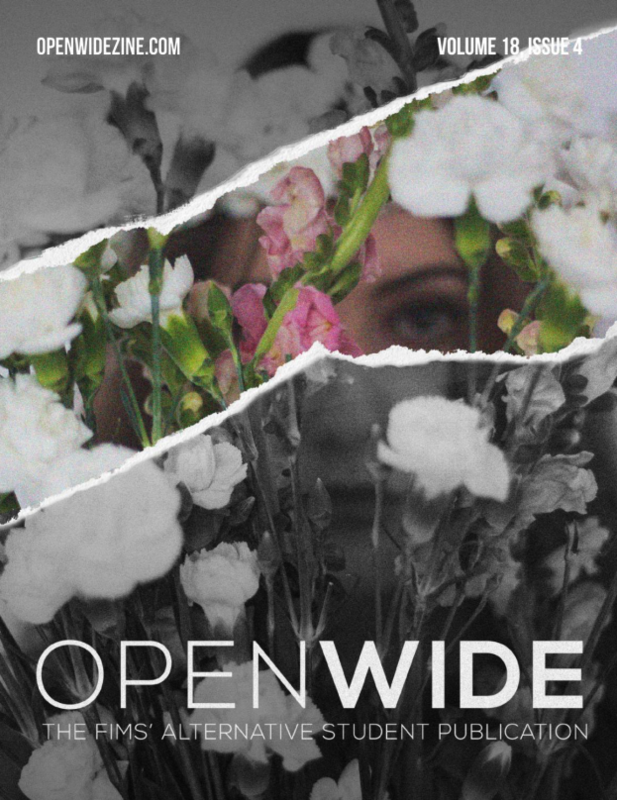 An abridged version of this interview by Marwa Hassan appeared in OPENWIDE Volume 16, Issue 3. Every FIMS student who’s gone to office hours knows that bright and narrow corridor on the second floor of NCB. It holds rooms that our professors escape to after three-hour lectures. It’s where Babe marks quantitative analysis papers. It’s also where this year’s Asper Fellow can be found. In 2006, FIMS received a donation from The CanWest Global Foundation to establish the Asper Fellowship in Media. It aims to expand research on specific topics in media, promote discussion about the media industry within Canada and enhance our academic programs. While fellows aren’t required to teach a course, Datejie Green chose to. MIT3875 Global Power, Media/Work and Intersectional Solidarity is currently in session, and it’s a 9:30AM class I never regret waking up for. A glance at her LinkedIn is enough to understand how experienced she is in the media world, and her latest project Solidarity Conscious is an online space dedicated to the interrelation and interdependency among all human beings. She’s passionate about organizing protection for precarious workers and has a lot to say about being one herself. I now leave you with a snippet of Datejie. MH: My first question to you is: Who is Datejie Green? I know it’s a broad question, but I would really like to know how you describe yourself. DG: Another student asked me this question, and it really put me on the spot. I think he asked me what makes me tick. So I’ll start with that just because I have it on my mind. I love solving puzzles and I don’t actually presume to think that I can solve anything, but if something is really easy, it’s really boring. I love grappling with things that are complex, that have many layers and digging and discovering and trying to always come at things holistically and then finding a way through it and forward. And I think that also reflects who I am because there is no simple answer to your first question. I, in fact, when I was doing my masters degree, which I did part-time between 2006 and 2013, not by choice, when I entered in 2006 I thought I was going to do a two-year degree and be done with it and move on with my life and life happened. But, as I was grappling with trying to write my final paper, I did a reflection paper and I had to put myself in it and that’s when I realized that what I had been seeking for all those years and even long before to some extent was who am I, what is the role that I’m playing, why do I take up the issues that I take up, why do I do the things that I do and what am I hoping to serve by doing that and that’s where without even landing solely on this word, that’s where I found that solidarity was my goal – and it was what made me tick and that it was my major motivational thing was to figure out how can I have solidarity. Usually it starts by looking outside because it’s always easier to see other people’s situation, but fundamentally what I was seeking was some kind of company. I was seeking a sense of belonging, and I was seeking a sense of comfort in company in kind with peers with people who also cared about the same things that I did, so if I was to answer your question by the standard responses which is what people are usually looking for: I am of Jamaican and English descent, I grew up not knowing my Jamaican family. I didn’t meet my Jamaican family till I was thirty years old. And so, I was very very much informed by that sense of being completely outside, not having anyone who resembled me, not having anyone who fundamentally understood for could empathize with what my journey was and what my day-to-day experience was and constantly wanting that sense of belonging so desperately hungry for it and so painfully ejected from that sense of security and that sense of belonging and that sense of home. And I grew up in a small town in West Flamborough, where on a day-to-day basis I was subjected to all the kind of othering, bullying, disinterest, invisibility, hyper-visibility, people cranking their necks to stare at me as I walked down the town street that you could imagine and at some point went so deep inside myself and found my own self and was on my own side and that’s what helped me to survive. I think most people when they hear my story, the depth and detail of it, they think “oh my God, how did you survive? I would’ve given up or something.” And when I finally met one of my Jamaican relatives, my aunt who has a PHD and was a professor and all these things, she said to me “look at you, you turned out so well. You could be been on the streets or an addict or this and that” and in a sense I did suffer all those things, they just manifested differently, but when I went deep inside as a young person to survive, I turned to athletics and what was beautiful about that is I was lucky enough to have an affinity for it, but I was also lucky enough to have chosen that because when you’re inside your body you can choose yourself much much better if you’re disconnected from your own body and your own physical embodied presence in the world that’s when you start to make decisions that are against your own self, so being physically fit, being physically active, being physically engaged, that was my way of building up a social relation, so I related to my teammates and I related in a kind of a sportswoman-like kind of way with the other teams, and I worked out my sense of striving through striving to always be a better athlete, but also my sense of camaraderie, and all the people put down sports who are not athletes, and they think that it’s just a bunch of dumb jocks and there are many people that really do live up to that stereotype of sports but it doesn’t have to be that. In fact, it’s a really good training ground, and I don’t mean that in a pun kind of way, it’s a realy good training ground for solving problems with other people and trying to do the best you can on a day-to-day basis. And I went through a really very very confusing devastating moment in late 2012 where a friend of mine – a two-spirited first nations woman – gave me the book Don Miguel Ruiz the Four Agreements, and I was sort of in an emotional fog about what do these changes in my life mean, where am I going and she gave me that book and I read through it and looked at it and I thought this is how I lived my childhood. I had made all these promises to myself as a kid without knowing it, I had lived this way and survived and had such an integrace, had such integrity and dignity in my youth only by my own choosing and design so I thought but I didn’t have the words that this book told me and now that I found this book, it reminds me I have this inside of me and when I really think about it, part of the reason I must have it inside of me is because I’ve got really strong ancestors who brought me here and are helping me through it and I must have some purpose for being here and if I can just come back and find this sentiment and mobilize it and share it with other people then maybe that’ll help. So, I know I didn’t answer your question directly, but you can ask me some more. MH: How and when did you find out about the FIMS Aspers Fellowship? DG: That was serendipitous, which is a lot of how my life has happened. I had been working for the Canadian Media Guild (CMG) as an organizer and they hired me under such – let’s say unfortunate terms – they hired me to mobilize freelance and precarious workers, but they hired me under precarious conditions and the irony was so sick, it was just quite comical, but at least I had my eyes wide open that this was going on. I didn’t sort of sit there and suffer with the contradiction of it. I thought “okay, they are foisting the conditions on me that they as a union want me to say that’s no good to do to other people, but I’m just going to try and live within this contradiction and make the most of it.” And I loved doing that job. I got a 6-month contract extended by 5 months and that one extended again by 6 months and so after a year and a half where I got to mobilize my many different skills, the people who had funded me pulled the plug and said “we’re not happy with the project anymore, see ya later” – that’s putting a kind face on it. So, I was still, at that moment, I had been working in kind of full steam, and the challenge with that job which is kind of the challenge of so many jobs that I’ve had is that I have to strategize the continuation of my job and the continuation of the good will of the people around me to keeping me in the job while I had to strategize to do the job at the same time. That sort of nervous paradox condition sums up the nervous condition of being a marginalized person in the work force today. Or even in society. You are trying to just live your life or do your job but at the same time as you must constantly be vigilant to strategize creating the space within which to live or do your job. So, it’s a double job effectively at all times. So, I had, personally I think I was doing well in this role. It was a type of job that colleagues who knew the kind of work that organizing is had told me when I called them up and said that I’d been interviewing for this job, “could I get your advice. It seems to me 6 months is way too short” and they’re like “oh, that needs at least 3 years to take root. 4 years, 5 years would be better, so after one and a half years, it was starting to really get some traction and then they pulled the plug on me but I was still in full swing. One of my colleagues on that job was kind enough to, was smart enough to see a call for conference submissions and she invited myself and my other colleagues. So, there were three of us who were doing organizing work to come present at a conference, and what I had been doing because I’d been out of work since end of February and the conference was May 2nd, and I’d been just trying to reorient myself towards how could I take all the skills that I’d been doing and turn it into other kinds of jobs and every time I opened up the job board online and looked at all the list of jobs, I got instantly depressed because none of those jobs suit me. I have such a unique set of skills, and I’m always thinking ahead of the curb, so to go and work for somebody else and do some small little thing was just crushing my spirit. And I pulled myself together and went and delivered at this conference, and I wanted to present a paper and I couldn’t get it together because I was so very distraught at having been let go and “what am I doing?” For some reason, the spirits are telling me “this is an important thing, don’t drop it.” I couldn’t just shut it all off. So, I was trying to be true to myself and I got up and said “I wish I’d written a paper, I’ve really been just trying to work at a bunch of contradictions and I delivered a speech about the contradictions of the work. Apparently, people enjoyed my work. I got two giant connections out of that. One was for an organization called Cinema Politica, which is based out of Montreal and has chapters all around the world and I am now going to be joining their board. I’ve been working with them. And the other was a fellow named Nick Dyer-Witherford. And, I had the presence of mind at that moment to ask all my colleagues before and after the presentation “if you know of anyone or any contracts opening up” because I was really desperately looking for work, “just let me know” and my colleague said to me “Nick Dyer-Witheford is the dean at this place at Western, why don’t you contact him.” I said “are you serious, that’s amazing” and so one thing lead to another, I contacted Nick, he’s incredibly receptive and supportive, and he said “let me find out, I think I might know of some research money. It would be a pleasure to work with you.” and his response to me was so favourable, I’ve rarely had that kind of response in that life no matter what success I have people are largely intimidated by me and by the range of thinking that I have and by my social location and so for him to just sort of say “You’re spot on I’m not intimidated in fact I’d like to work with you was just amazing” and that’s how I ended up coming to FIMS and I always research everything and that would be the one piece of advice I’d give to anybody as a student or as a knowledge or media worker is always do your research because by the time I’d reached out to him I had studied the FIMS website. I’d seen that there was this fellowship. On one of the pages it said “deadline April 30th” and it was now May 3rd, on another page it had said “deadline April 30th or until filled” so I didn’t sort of hang my head in dejection, instead I said “let me go for it” so I asked Nick “what do you think if the deadline is past, should I still apply?” and he said “I’ll find out for you” and so he found out for me and he said “I don’t know for sure, I’m not on the committee, but I would just write to the dean”, so I wrote to the dean and the dean said “yeah, sure, we’ll consider it” so they considered it. And, that’s the other piece of advice: even if something is too late, always apply. MH: I understand how your media knowledge and experience contributes to the betterment of the fellowship because everyone that interacts with you – not just the faculty, but also your students – we learn so much from you, but how has being a fellow helped you? DG: Well, I’ve learnt so much from my students, too, absolutely. Anybody who has ever been in a teacher’s role, even if it’s just teaching younger kids or younger siblings, or teaching your elders about technology knows that you also learn from them and I have learnt so much from my students. I’ve learned about them as individuals, I’ve learned about what it’s like to be at their age in their peer group. I’ve learned about the challenges that you face today, especially in terms of interfacing with the technology because I have over the years not only developed not only the analysis that I’ve needed to develop of the media and a good chunk of that analysis that I’ve developed is about me in my life. It’s like I need to know this, I need to understand this, I need to dissect this so that I can feel better armed to face the world and know how to filter it out. And how to respond and so, a good part of my interface with technology is about having those filters, but now that I have those filters, I can choose. I’m not on Facebook, I can choose I’m not interfacing with that Instagram or whatever. I can interface with it how I want to and have a lot more limits about who I’m encountering, but you don’t have that option. You don’t have the same options I have. For your peer group, within your generation, within your fields of interest, within your communities of birth and your communities of choice, you have to interface with technology differently in order to just be in the swim of thins, so I’m learning very much the snippets that you share with me, I’m learning about what that looks like. I’m also learning, even though I have my own pressures as a precarious worker, I’m learning about some of the pressures that you’re facing in your age group at this moment in your life and so that always challenges me to redouble my thinking and my analysis and my effort about how to make things relevant to you. And I’ve really learnt from that and I was really heartened that you and other students came to my events and found them useful, and it helps me to learn from you about whether I’m on the right track because the least thing I want to do is waste people’s time. MH: You have such passion for organizing protection for freelancers, and I was wondering where that passion came from. DG: I was very isolated as a kid, I was very isolated. I felt like there was always this massively giant spotlight on me, and I was being watched at all time. To some extent that was true, and to some extent that was me being frightened. But, to the extent that it was true, I kind of felt like if I was to be able to survive at all, I had to excel at everything. But, it’s lonely excelling at everything because everyone looks at you with *noises*. Sports allowed me to have that sense of social. I developed social skills that way. I didn’t have friends, I had friends for brief moments in time and that all disappeared and so that was my practice at being social and it was a very positive thing. I was a leader in all the teams I was on, and I always rooted for everybody, no matter what skill level. And I always tried to both lead by example as well as share whatever I did know to the best of my abilities, so that other people could gain from the little bits that I strengths. And then I lost that because in my generation, there’s more now, there should always be far more than there are, but in my generation there was really nowhere to go as a female athlete after high-school unless you made it o the varsity leagues…There was really nowhere for me to go in my own excellence. I had to try on and figure out another excellence for myself and that took a long time. And I actually lost that experience through various traumas that I experienced as a child that sort of recurred and then i experienced new traumas in my twenties. I lost literally the body memory of that success that I experienced as an athlete and it was only in my thirties that i began to get back to the sports and pick up the body memory that then allowed me to have the mental memory of “what could this be?” and then I realized I have a real knack for organizing but I didn’t recognize it as such until much much later. It all has come together recently for me over the course of my life. I’m so happy it’s come together, because when you do realize what your strengths are and when you can mobilize them, it really can be a gift. it’s really a gift to yourself. And when you can be good to yourself, you can be good to others, too. So, I think the organizing had always been there and I’m so glad to pick it up again. The challenge that I face is that I want to organize support for precarious workers but no one person can do that. It’s a collective effort and it’s a collective decision, so really after the wonderful union experience and the very painful union experience, I’m at the stage where I’m out trying to find my people who would be interested in doing something collectively to build some kind of really sturdy meaningful set of collective supports for freelancers and part of why I’m so passionate about that is because that is me: the precarious worker, the freelancer, the person who could be ejected at any time from a particular role, not by my choosing, not by my fault, not by my design, but by the way the world is working. MH: How did solidarity conscious come to be? DG: This is something that came to me in the summer. One of the fundamental struggles that freelancers have – and the last job I mentioned about the union really helped me to think through a lot of things…The best way to think things through is by doing. And thinking. So, having both spaces open to me. If I’m just thinking I get lost in the abstract and I get frustrated. If I’m just doing, I get lost in the practical and I get frustrated. But, I had this beautiful confluence – in scholarly circles, they call it praxis, it’s the ability to mobilize theories and concepts and putting them in practice. So, I was kind of doing this amazing praxis that I made up all the way through with the help of some colleagues in the union and one of the challenges that I have faced perennially in looking for work and that I’ve faced in trying to support freelancers from this role was the fact that we don’t know how to describe ourselves and what we do. We have so many skill sets and we do so many things and we have a track record of working on so many different types of things it doesn’t resemble the linear career path that is so predominant just about everywhere. It doesn’t resemble what they expect of you at an employment centre, it doesn’t resemble what a manager expects when they’re hiring you. If somebody is a doctor, it’s recognizable. You choose a doctor and everything you do is about being a doctor. If you’re a lawyer, if you’re a dentist, if you’re a professor, there are so many types of things you just choose one thing and you stick with it. But, if you’re a freelancer or a precarious worker who’s kind of curious and you don’t necessarily want to go out and start a business as an entrepreneur you end up with this checkered unrecognizable history and how do you describe yourself? That brings me to this day and age where everything is online and if you really are going to be competitive in the knowledge work market, you have to have some kind of online presence. Well, I’ve thought a hundred times about starting a blog and writing what I think, but I write about so many different things there was nothing that pulled it together. Then there are the people who write for free for like The Huffington Post or for these other places, and they just write for free, and I’m like “I can’t afford to write for free, I have to earn a living.” So, I finally just decided that by virtue of the things that I believe in and I say and I do and my track record, it’s pretty much I can’t hide the fact that I’m an advocate for social justice and equity. So, why don’t I just put that out front and centre? In the work that I did for the union, I went to a couple of talks and people were talking about solidarity because they talk about that when they talk about the workforce as unions. They talk about worker consciousness, but the beef that I’ve always had with the formal trade union movement is there’s a lot of talk, there’s some action and the primary action is on behalf of the workers within the union, as if other workers don’t matter and there’s this real kind of “we’re on the inside, we matter, our members matter, but you’re on the outside…you’re there to take away our jobs.” The us-them thing doesn’t work for me, because at any point you can turn that on and turn that off and start being exclusionary. So, I just thought to myself, “How do I bring together all the different types of social movements I’ve been a part of where solidarity has been at the core – how do I bring that together with the notion of intersectionality. How do I bring that together with the fact that solidarity is something that we may want to practice, or aspire to, but we’re still always learning, how can that happen?” And the fact that on any given day, it can manifest one way and not resemble what you do the next day but they are little bits and pieces of continuity of solidarity. So I thought at the very least, you can try and be conscious, you can aspire to at least be conscience and make sure that your consciousness is flexible and adaptive as you move through time and space. Because, if I’m standing on a picket line saying “Solidarity with these workers on strike” that’s not going to be appropriate if I’m acting in solidarity with somebody who’s deeply stigmatized and can’t afford that big public way and display of solidarity. That might be some other kind of manifestation of solidarity, like cooking a meal and taking it to somebody’s home who’s isolated. And still manifesting another type of solidarity might come forward in the way of helping them navigate the health care system – they so don’t resemble each other and yet they so have the same impact of helping ease somebody’s way through or a group or constituency. So, I just thought “Screw it, I’m not going to hide anymore. I’m not going to pretend that I can even hide. I’m not going to bend myself out of shape or be a chameleon to answer to anybody’s requirements of me anymore.” I’ll just say “Look, I’m a freelancer, this is the basis on which I do everything. It’s a solidarity conscious kind of way.” And the way that I played with those words and everything – it’s really interesting because now I’ve got this website and I’m starting to write for it and the way that even the URL is coming together is that I have a section called “People” so when you read the URL, it says “solidarity conscious people,” so it’s actually playing out in a magical kind of way, because that’s how I feel about them. I’m going to be writing about this for the site, I’ve got a draft underway, but the point is it’s almost a dirty word to talk about solidarity – notwithstanding that everyone’s talking about solidarity with Paris, now it’s being overused and inappropriately invoked. In some ways, it’s empathy that people are talking about or it’s just being conscious, but putting something on a Facebook page that’s in red, white and blue is stretching it a little bit. What you’re saying is that I’ve got you in my thoughts, I’m honouring you, I’m memorializing you. But really seriously talking and acting solidarity, I want to to just keep bringing that out of the closet. When I was in Eritrea very very briefly just for like three or four months I was working on a peace conference – I was working on a conference for women peacebuilders. In a country that had experienced decades of war and was still living in a state of preparedness for war, just uttering the word “peace” was a radical act. Even the Eritreans that I spoke to who were asking me what I was working on, I’d say to them and they’d say “Peace, huh?” They themselves in uttering the word even if it was in English, they felt that it was a radical act. I feel that speaking about solidarity is a radical act in the midst of a society that’s all about capitalist competition and every other competition. Competition that keeps women down, that keeps women silent, that violates women. Competition that wants to exclude racialized people, especially if they’re not English speaking, especially if they’re not white. That wants to keep indigenous people silenced, that wants to marginalize and dump all their problems on people with disabilities, that thinks LGBTQ people are maybe tolerable for five minutes here and there, but fundamentally are still kind of weird and not to be welcomed. There are so many of us and that’s just the beginning of the list. There’s so many ways to describe us – queered people – and I think to talk about solidarity may seem easy but it’s kind of a radical idea. And so the idea of solidarity conscious is to take out of the hands of the trade union movements and to make it far more fundamental and meaningful than just the Facebook red, white and blue, and to see who we are to each other. MH: You stress that solidarity in every form begins with solidarity on the inside. As media students, we’re constantly learning that media is everything, and I was just wondering how you think media students should mobilize the tools and things we’re learning to foster a better space for solidarity within and by the media. DG: Well, I think the first thing to bear in mind about how to mobilize solidarity in the media is to know your own location, to have a good understanding of it, and your knowledge of yourself and your location will always be a work in progress. It will change and you change. If you start with a full reflection on who you are and where you reside and then through you as the person who’s speaking or storytelling, what is it about you that’s telling the story and why have you chosen this thing. So, understanding yourself and your location and you as a starting point is fundamental. In journalism and to some extent in academia, there are still very dominant sets of people that believe in objectivity. They put that forward as the mark of what is a professional. But, nobody is objective. There’s not one person that is objective. If you looks at the news, they’ve got people reporting on finance who fundamentally believe in capitalism. They’ve got people reporting on politics who fundamentally support and believe in and engage with our political system. They’ve got people reporting on health and our medical system who truly and fundamentally think that our health and medical system is the be all and end all. They are all biases and if you have what seems to be a countering view, that’s when they label you as not objective. That’s effectively a tool to say that you’re not legitimate. But they don’t see their own selves, they don’t see their own positions and their own locations. So, I think if there was a new generation globally of people who understood where they sit and acknowledge honestly their locations as they approach media, that would be the first thing that would go a long way to telling the truth. Whatever version of the truth those people have, at least it would not be filled with a whole bunch of self-deception. For somebody who works in the media, it’s important to find out the whole picture and to figure out, okay, I know where I sit, I know where I’m entering this from. I see much much more of the whole picture than we could ever portray in this five minute segment or on this one page. But if I bear that in mind at the very least, if I understand that the context is there, and I understand that my story in telling it this way is going to be understood within that more global more whole context, what are the best sets of messages, what are the most useful sets of messages I can put forward in the work that I’m doing here. As opposed to just telling a story that has embedded within it a whole lot of power and a whole lot of agendas without being aware of any of that stuff, let’s at least be aware of what we’re doing. Who it can impact and is it useful? And it will be useful in some ways to some people, and it will be useful in other ways to other people. There will be uses to whatever you produce in media that you may not even see that other people might see, and find use for. So, know that you will never know everything. But, know that you can at least make the effort to know more holistically what’s at play. MH: Many of us graduating this year will become precarious workers – what advice do you have for us, for the future precarious worker? DG: Know yourself. Be on your own side. Figure out ways to understand what your strengths are and work to them. That’s the best advice to you as an individual. Don’t allow a bunch of negative messages, or “No, sorry we’re not hiring you” to define you or discourage you, because if you follow what you’re strong at doing, or what you’re most curious at or both, it will have value but the value you place on it for yourself. The challenge is we’re in a society that wants us to commodify everything. I didn’t necessarily want to have to make a website that could potentially be perceived as totally self-promoting and so I’m struggling with this website to be a voice and a mouthpiece for the values that I espouse but to bring other people and their stories in so that it’s not just me spouting off. Some people are good at that, they’re good at the spotlight being on them and saying what they want, and that’s something I’m still trying to train myself to be okay with. I think that’s okay fundamentally, as long as you’re not making it so that you’re excluding other people. But, it is okay to take up space. So, I think if you follow your strength as an individual, that’s the first thing. The other thing that’s a little more difficult to demonstrate but is equally as important is to work collectively. That’s why I stress so much on solidarity, because the tendency of our society is to fight with each other or to compete against each other or to one-up each other, but we should start thinking of how to help each other out. A beautiful thing about the freelance economy is that it creates these kinds of disruptions and openings that if you know somebody or are in touch with somebody or putting the feelers out about yourself get people to think of you and you think of them. Sooner or later, you get opportunities to give other people work and they get opportunities to help you find work and it’s all about how we all want to be able to eat. That’s why I’m stressing solidarity specifically in the context of precarious and freelance workers, because I actually think that’s the only way we’re truly going to survive – by looking sideways and thinking and working collectively. I would really like to reinforce the message that storytelling is what you make it, and it’s really very difficult to see from the outside when you look at a field of work like journalism and you look at an industry such as news, it’s really hard from the outside to realize that it’s anything but a big block of stuff that’s pre-decided, predetermined and you have to go and fit into it. Digital technologies have really disrupted that big block, but the fact of the matter is all of those people are what make that world. So, as the people change, so the world can change. The notion of what is journalism today does not necessarily resemble what it looked like ten years ago – thank goodness. You can open your computer and be tied into country if you spoke all the language of the world. Even within the English language, now you have so many options. And there are so many other voices doing journalism. It used to be when I was you age, I would look at my options. I could try and work for these magazines, these newspapers or these broadcasters – nobody even remotely resembling who I am or what I think or how I see the world was anywhere within those. That has changed. You have dissenting or discerning or different voices not just percolating below but actually up talking… So, make something. The number one challenge is as you make the things you most strongly feel to make, the challenge will be to get paid to do that. That’s where the rubber hits the road. That’s where you and your peers and some of us who are older and some who will be younger all mobilize together to leverage the money into a different formation of what is journalism, that’s where the collective strength will come together. It’s shifting, it’s in progress, it’s going to move. You have many more options. Be brave. Seize them. Please know that within any news organization, you have to be an advocate for your story. Those freelancers, those precarious journalists and everybody who’s working on dissenting views or views that will humanize – even if you’re a minority, you can find each other and mobilize with each other and strategize to get that stuff out there. That’s the beauty of the possibility and when you see it all as a block of not possible to do that, you have to know that there are individuals. Any institution, any organization, any corporation is made up of a ton of individuals and it’s about finding your people.